Fun, games and adventures together with other kids is the simple but successful concept of our JUFA Simply Holiday Fun Camps. 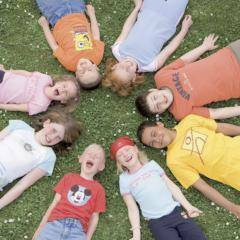 Enjoy the summer day with sporting activities – this Holiday Camp invites you to make the most of your holidays together with other children and young people with a varied program. Go exploring together at the adventure rally, chill in the pool or tell creepy stories around the camp fire – here you have the opportunity! Enjoy the time together with fun and good spirits, take the plunge and learn to rely on each other. Overcome boundaries as a team, surpass yourselves and develop a sense of cooperation. But above all Have a laugh together and enjoy the summer! Im interested in the offer "Simply Holiday Fun Camps" in the .